Airesman Orchards - Somerset County Farmers' Market Inc.
About Us - Airesman Orchards located at 745 Edie Rd. Somerset, PA. 15501. 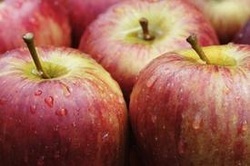 We sell apples and apple products, such as Cider and Apple Butter. We also sell plums. The picking season is from late August to the end of October.